Precise, dynamic and sculpted: quintessential BMW design cues give the new BMW 7 Series an authoritative presence from every angle, both in short or long wheelbase form. Ambient mood lighting that welcomes you aboard. Hand crafted materials that make every journey a delight. The moment you step into a BMW 7 Series, you enter a unique, stunning environment. The new way to travel first class. Treat your passengers to two 10” TV screens, Wi-Fi, a Blu-ray drive, massage chairs and a panoramic glass roof Sky Lounge. Characteristic from every angle, this display of BMW innovation features the sleekest engineering and precise, clean-cut lines for the ultimate elegant stance. While the classic BMW kidney grille flows forward from the front of the vehicle, creating the illusion of movement even when the model is at a standstill – it’s clear to see that this is extremely refined, enhanced by a chrome-plated trim (the perfect sophisticated touch). 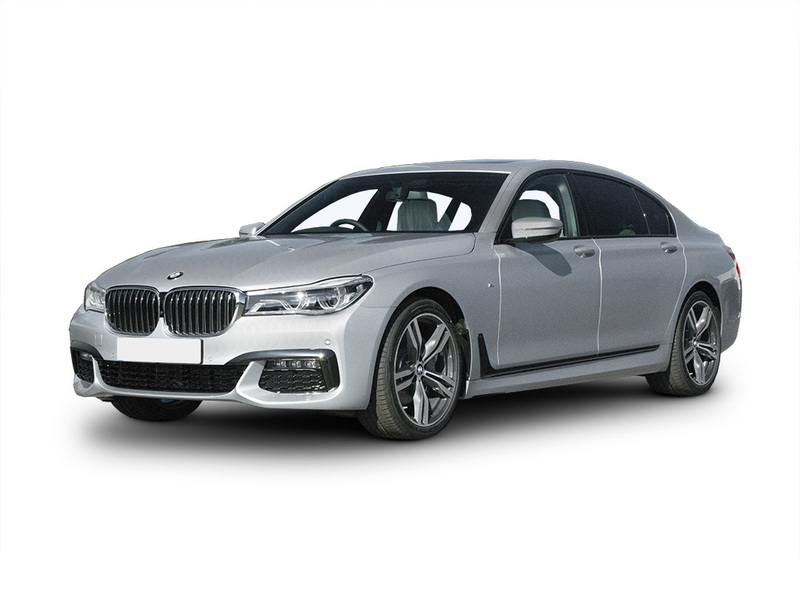 Extended and accentuated by a strong contour, the 7 Series exterior cleverly integrates exhaust pipes into the bumper, which like the rear lighting are linked to the low centre of gravity by this precise line or the optional chrome bar. Providing perfectly balanced acceleration, the BMW 7 Series Saloon boasts sports-like agility – all thanks to the forward-thinking carbon core, which has dramatically reduced vehicle weight. To emphasise this sporty agility, the 7 Series model can be parked at the touch of a button, providing relentless power via your fingertips. Glimpse into the future and let the astounding innovations and technologies enhance your drive – thrill seekers are sure to enjoy the wealth of luxuries surrounding them when in the drivers seat. One of the numerous premium touches is the beautifully crafted and mood lifting powerful inclusion of luxurious materials, in addition to the Welcome Carpet Lights and Sky Lounge. Let's get the details right... Select any additional options and accessories for your 7 Series. The BMW 7 Series is more than flawless craftsmanship. It's a window into the future of luxury car design.